It’s been quite a few days since I’ve written a blog. I was sick. I had a COLD. I know it’s flu season and thought I was being proactive and got my flu shot. Then of course I was very supportive as those around me dropped like flies with the flu I would, nay, could not, get it! My head has all the motivation I need to stay on my diet, to exercise everyday, to save money for that holiday and to be the best person I could ever be…but…and it’s a big but(t). OK, That was a really bad pun. But allow me the small victories along with the rest. Oh my! 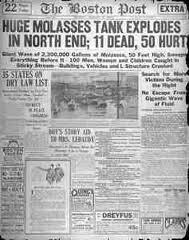 Molasses could be dangerous? So, what do you do with a motivated head but a heart and body that won’t follow???? I’ve been considering the “Molasses Metaphor” You’ve probably heard the saying that something was as “slow as molasses in January”. Well that refers to how cold it is and molasses can’t flow when it’s cold. Well, I love molasses. Back east I would be called a Lassy Girl. I love the taste of fancy molasses on pancakes and in soft gingerbread cookies. Sigh. It even has some nice B vitamins. But, I also acknowledge that it’s sugar. Really, sugar. It makes nice rum and stuff. But back to the slowness of it. February is still cold here in Canada, so I’m handing off the idea that my motivation to lose weight is the molasses that’s waiting for something to get it flowing. I know all the things I need to do but (Wow, is this post ever full of buts!) how can I get going? It’s s rhetorical question. I had an appointment with my Bariatric Surgeon for a check-up the other day. I got a call saying he was running about 2 hours behind schedule so I went late and as I got to his overflowing office he was on his way out to an emergency. The anger and frustration in that office was almost physically overwhelming. So many of us concerned with weight-loss and then the others with abdominal issues, too. It was chaos! Maybe this was making me think I need to get my own molasses flowing. My favourite doctor, Michelle Fretz does a nice job of not shoulding on me but holding up the mirror not the health stats on my morbid obesity. But, it all comes down to warming the air and the vessel holding the molasses and then things can get going. I am now recharging. I’ve had my put, my rant, and even my Valentines Day pizza (Slice not the whole pie!). I will finish February on track and feel pretty righteous about it, too. As I warm to the ideas I’ve written here I can feel the molasses moving and my sweetness will return and motivation will fill my plate. No pancakes but lots of healthy alternatives. ~ by 1fatgirlshrinking - Diane Kirby on February 16, 2013. 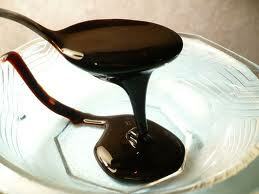 Loved the part about Molasses! I was talking to my Chemistry teacher today about how I think very slow & she said “well I think it’s because you think deeper, so there’s more factors to consider”. For which I replied “Yeah it’s like Molasses down there”. You totally got the metaphor, Jason! How did you find my blog?